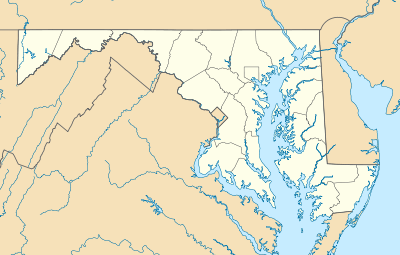 Canton is a neighborhood in Baltimore, Maryland, United States. 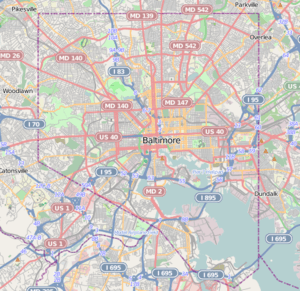 The neighborhood is along Baltimore's outer harbor in the southeastern section of the city, roughly two miles east of Baltimore's downtown district and next to or near the neighborhoods of Patterson Park, Fells Point, Highlandtown, and Greektown. Canton's traditional center is O'Donnell Square, a park bordered on the north and south by O'Donnell Street, to the east by South Potomac Street, and to the west by Linwood Avenue. O'Donnell Square is home to several bars and restaurants, an art gallery, a coffee shop and a number of other businesses and residences, as well as a former fire station. In the 2000s, developments have added focus areas to the neighborhood, including the Canton Waterfront Park and Maryland Korean War Memorial, the rehabilitated American Can Company building, two marinas and a public boat launch, the DuBurns Soccer Arena, and new bars and restaurants. In 1785, Irish merchant John O'Donnell settled in Baltimore and began trading with merchants in the Chinese port of Guangzhou, then called Canton by English speakers. When O'Donnell purchased land, he named his plantation Canton. 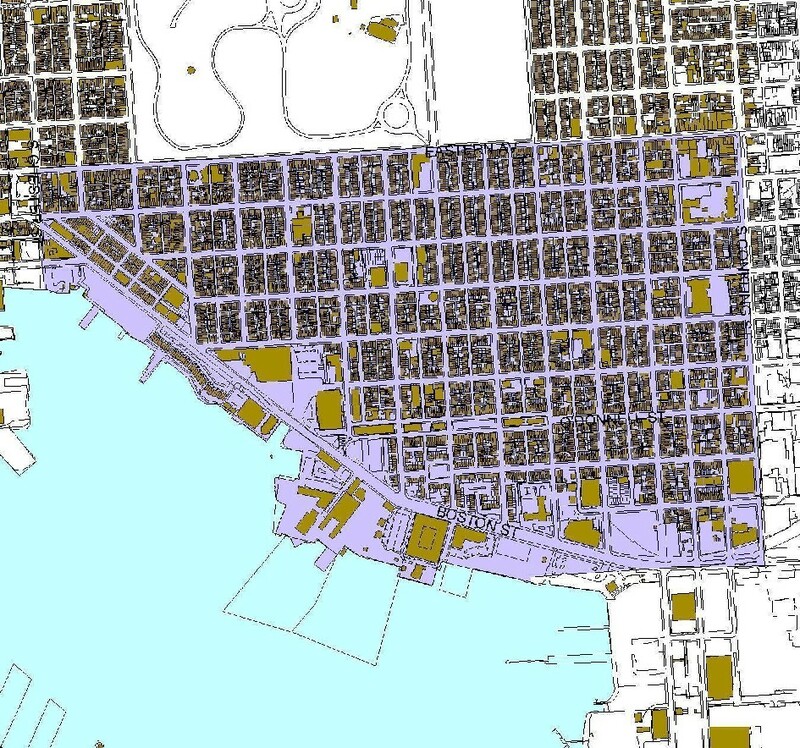 In the Late 18th century, O'Donnell's land was sold off by his son Columbus O’Donnell, William Patterson and Peter Cooper, and was developed for waterfront industry and blue-collar housing. During the early 19th century, European immigrants settled in the area. 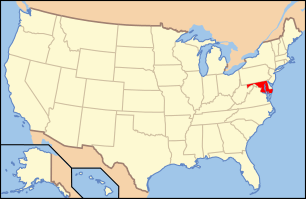 Welsh immigrants, primarily workers from South Wales, began settling in Baltimore in large numbers beginning in the 1820s. Welsh and Irish migrant workers composed a large portion of Baltimore's working class during the early and mid-1800s. In 1850, a large community of copper workers from Wales settled in the neighborhood. These workers established a Presbyterian church in 1865, located on Toone Street in Canton. Other groups included German and Poles. In the 2000s, as industry moved out, new housing and marinas have been developed along the waterfront and gentrification of the existing housing has occurred further inland. The first branch of the Enoch Pratt Free Library, in operation since 1866, is in Canton on O’Donnell Square. Most houses in Canton are turn-of-the-20th-century two- to three-story rowhouses. Some homes closer to the water date from the Civil War. New townhouses have been built at Canton Square and the Anchorage, as well as on empty lots throughout the neighborhood. There are also waterfront apartments and condominiums in rehabilitated industrial buildings. According to the Baltimore Neighborhood Indicators Alliance, the median price of homes sold in 2013 was $285,500. Based on data derived from the census of 2010 and 2014 ACS 5-year estimate, there were 11,398 people residing in the neighborhood. The racial makeup of Canton was 90.8% White, 3.9% African American, 0.1% Native American, 2.3% Asian, 1.0% from other races, and 2.0% from two or more races. The median household income in 2013 was $79,114. ↑ Norbert Zaczek; Rev. Richard E. Choma; John Hnedak (January 1977). "National Register of Historic Places Registration: Canton Historic District" (PDF). Maryland Historical Trust. Retrieved 2016-04-01. ↑ "A Historic Context for the Archaeology of Industrial Labor in the State of Maryland". Center for Heritage Resource Studies. Retrieved 2012-10-10. ↑ "Historical & Architectural Preservation / Historic Districts / Maps Of Historic Districts / Canton". Baltimore City Government. Retrieved 2012-10-10. ↑ "Canton Timeline". Canton Community Association. Retrieved 2012-10-10. ↑ "AreaVibes". 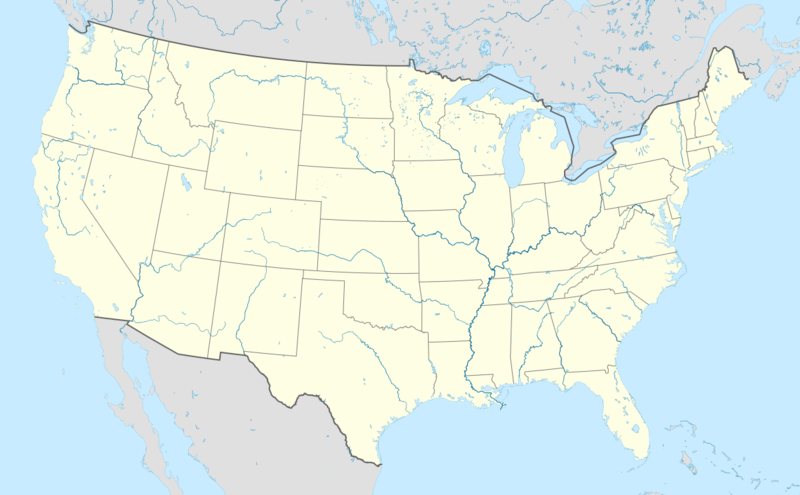 United States Census. Retrieved 2016-08-18. ↑ "City-Data.com". City-Data.com. Retrieved 2016-08-18.